Plith is a new indie puzzle game that puts gamers in a spatial setting, where they have to manage several puzzle elements (mostly gears) and must make quick decisions which can simplify or complicate their path to victory. 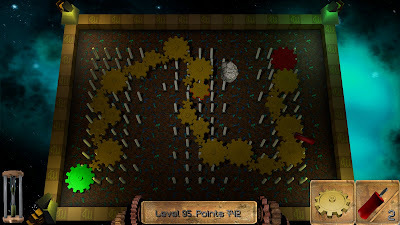 The player moves some gears and can place them on the level; some gears rotate, and transmit their rotation to the adjacent ones: the objective of each level is to activate the target gears. Try a Linux demo of Plith or buy full version for $3.99 from official website or Desura.